Resources to help companies craft an Emergency Action Plan are available. The 2017 California wildfire season consisted of 9,133 fires that burned more than 1.3 million acres, according to the California Department of Forestry and Fire Protection. It’s considered the most destructive on record — and in January, the recently-charred land caused severe mudslides during a deadly storm that shut down about 30 miles of Highway 101 between Northern and Southern California. To help workplaces prepare for such unexpected occurrences, the California Department of Public Health’s Occupational Health Branch (OHB) has provided a list of resources. The Cal/OSHA Emergency Action Plan standard sets minimum standards for workplace preparations and offers guidance for elements that workplaces should include and follow in their plan. The preparing for emergencies overview from the California Department of Industrial Relations-funded Worker Safety & Health Training & Education Program is part of a set of materials designed to help employers meet their Injury and Illness Prevention Program responsibilities. The emergency preparedness resources from the National Institute for Occupational Safety and Health also can help with developing a workplace emergency plan. The OHB program is devoted to improving worker health and safety through prevention activities. OHB works to prevent job injuries and illnesses before they happen by developing training and informational materials, recommending protective occupational health standards, tracking patterns of work related injuries and illnesses, and other related prevention activities. 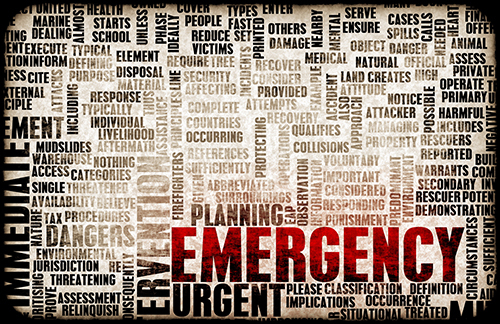 CalChamber members can learn more about creating an Emergency Action Plan in the HR Library, as well as access a downloadable form to help set forth important emergency information and a form for tracking training obligations. Not a member? Learn about the benefits of membership.